This will be a place of quality in all aspects of design, enhanced with the river, parks and access to open country. A place where you can shape your future; a place to work and to live. A safe, healthy and attractive part of town. We want this to be the benchmark in town centre living and a jewel in the crown for Greater Manchester. To create a new green urban village, the Greater Manchester Mayor has decided to consult on the creation of a regeneration company called a Mayoral Development Corporation. - Andy Burnham, Mayor of Greater Manchester. A Mayoral Development Corporation (MDC) is a statutory body created to bring forward the regeneration of a defined area. They have powers to acquire, develop, hold, and dispose of land and property. They also have powers to facilitate the provision of infrastructure. In Greater Manchester, we have developed a model that would allow us to harness the potential MDCs have to bring about large-scale regeneration while ensuring they fit with our unique local circumstances and don’t create major additional bureaucracy. If endorsed through this consultation, the Stockport MDC would see the creation of a Board to provide overall direction with a smaller staff structure made up mostly of existing staff seconded from Stockport Council (and potentially other partner organisations). We believe that a Mayoral Development Corporation has the ability to make the potential of Stockport's Town Centre West a reality. But we want to make sure that everyone with an interest in the area has the chance to provide their views on the MDC idea. In this way we will recieve public comments and opinions on both the merit of creating a dedicated regeneration organisation and, at a later date, on the detailed masterplan proposals in the SRF. The responses to this consultation will be set out in a report to Greater Manchester Combined Authority. This is anticipated to be in March 2019. 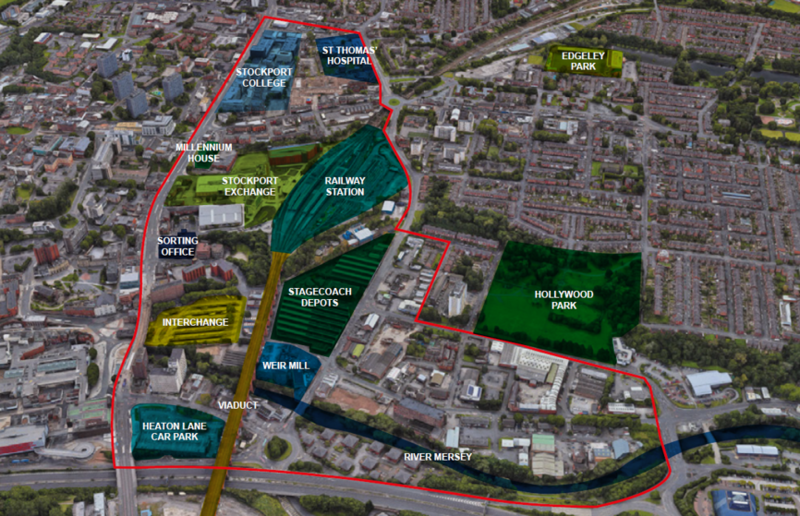 The consultation exercise will inform the Mayor’s final decision on the merit of creating a Mayoral Development Corporation for Stockport’s Town Centre West area.